Midland County, Texas is named for its location halfway between Fort Worth and El Paso on the Texas and Pacific Railway. The county seat is Midland. Midland County is part of the Midland, Texas Metro Area, and it is one of 254 counties in Texas. Midland County, Texas has a population of about 120,000. Schools located in Midland County, Texas include Midland College. Airports serving Midland County, Texas include Midland International. 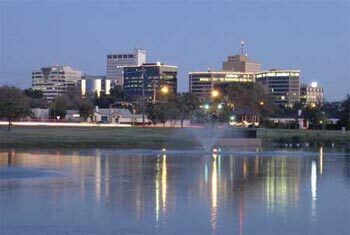 Cities and towns located in Midland County, Texas include Midland, Bounce, Greenwood, Spraberry, Warfield, Benge Corner, Chub, Corner Windmill, Cotton Flat, Germania, Ridgeheights, Sandy Acres and Odessa.